In this double-feature on Examu’s new works, introducing the completely new production DAEMON BRIDE. DAEMON BRIDE is a fighting game with an Angel vs. Demon theme and a fantasy world as the backbone. KOF "ROAD TO REVENGE" is a brand new King Of Fighters serie in the making. Based on KOF 98 "Ultimate Match" graphics, only improving on it to make it even better. This serie retained the scientific fantasy feel of KOF 2002. Now a total of 66 characters, a serie record! SUGOI ARCANA HEART 2 (Version 2.6) arrived in VIRTUALAND! The game features an original all-female cast fighters in 2D platform. SUGOI ARCANA HEART 2 is the updated version of Arcana Heart 2. Added fighters include Nazuna Inuwaka, Akane Inuwaka, Parace L'Sia. Added Arcana include Cayatshime (Flower), Fenecs (Sound), Parace L'sia (Life). KING OF FIGHTERS XII, the latest installment of the KING OF FIGHTERS series! KOF XII uses newly-drawn 2D sprites on detailed 2D backgrounds. Featuring a roster of 20 characters plus new systems: "Critical Counter System" and "Clash System". This latest installment does not contains a storyline allowing the return of several characters depending on their status in the series. Additionally, there are no official teams, leaving the player(s) to create any team to use.THE FIGHTING GAME MASTERPIECE IS REBORN FOR A NEW GENERATION OF BATTLES! Get ready to experience the beauty of widescreen, high-resolution gaming! With beautiful graphic designed specifically for high-definition, and sound engineered to the next level. The BLAZBLUE experience is sure to be the one that you will not soon forget! As if that incredible visual and aural assault weren't enough, get ready for a battle system with the depth and excitement you deserve from something truely next-gen! STREET FIGHTER IV, the World Warriors are back with a vengeance with the original cast and some brand new hardened fighters! Ken and Ryu never look so good before. The graphics are beyond description and SPECIAL MOVES will never be the same! The battle wont end in friendship. Bring your RETRO 2D fighting stances to the NEW 3D platform. So who is the most elite on the STREET? UNLEASH YOUR FURY FOES! 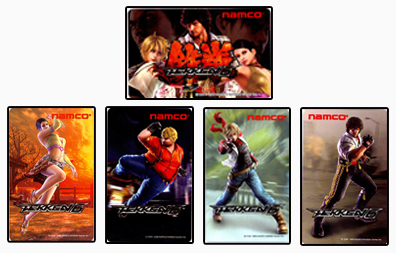 TEKKEN 6 is the LATEST installment of Namco's Tekken series, it has all the classic characters and a few new faces making their debut. Most notably are Bob, Zafina, Leo, Miguel. Bob, is an American who is known as a martial arts genius. Due to being unable to defeat larger opponents however, he disappeared from the fighting world, determined to increase his weight and power while still maintaining speed. Zafina, is a female who will have moves Harada likened to that of a "spider" and who enters the tournament to prevent the clash of the "two evil stars". Leo, is a German who is intended to be a character which can be played by beginners and experienced players alike. Miguel, is a Spaniard with a passion for fighting, but no real discipline. Miguel wants to exact revenge upon the death of his sister at her wedding. TEKKEN 6 BLOODLINE REBELLION is an UPGRADED version of the current TEKKEN 6! It was officially announced at the JAMMA Amusement Show (18th - 20th Sep 2008) in Tokyo, Japan. 2 NEW characters, ALISA BOSCONOVITCH and LARS ALEXANDERSSON are added! Now a total of 40 characters, a SERIES RECORD! NEW stages are added, each with distinctive, widths and shapes. TONS OF LONG AWAITED ITEMS will be released. NEW item attacks will be released! NEW feature "HAIR CUSTOMISE SYSTEM" will bring limiitless variations by matching "HAIR PARTS"! NEW AND REARRANGED MOVES for every character, the entire game has been REBALANCED! Tactical play will evolve to the next level! In June 2008, TKA AMUSEMENT, Virtualand (Bugis) held a Tekken 6 tournament for 32 players to pit their skills against each another! Our main objective is to promote the game and take it to the next level. Overall, This episode takes the cake of the Tekken series and is every Tekken fans dream. 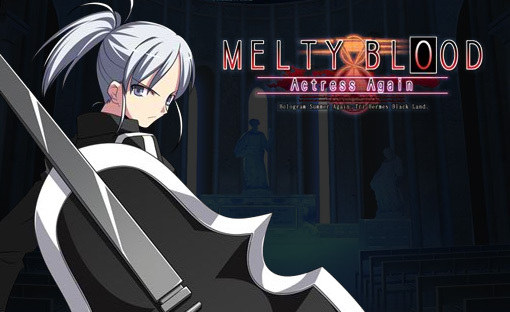 Melty Blood: Actress Again, is the third game in the Melty Blood fighting game series. Two new characters will be added. All characters now feature 3 different fighting styles known as, Full Moon Style(Power), Crescent Moon Style(Speed) and Half Moon Style(Simple). New features added: Larger stages, including both new and alternate versions of stages from Act Cadenza. A Guard meter which depletes upon blocked attacks and results in a 'Guard Crash' vulnerability state upon depletion and Aerial Circuit Sparks. King of Fighters '98 Ultimate Match has players selecting three characters from a roster of 43 and pitting them against each other in the classic style of last man standing brawling that only KOF can bring. The same semi-circle special moves, combo systems, and reversal system still apply. Before you do any of that, you select your mode of play, which basically governs the moves that each character will have access to. There's basic, extreme, and ultimate.The real difference comes when you fire up one of the devastating ultimate moves that become available once you land enough attacks. All of the fighters that are in the monstrous roster are from series that any fighting diehard will recognize. A great update to the classic '98 entry of the series. New moves, new grooves, more characters, more stages, EXTREME FUN! Show us your old school 2D fighting skills! Dear user, please join our membership and log in before you could post any comments. Thank you!